AHRENSBURG, Germany, November 29, 2017 – Phyton Biotech today announced that it has received a $400,000 grant from the Bill & Melinda Gates Foundation to fund the research and development of an alternative method of producing artemisinin, a key active pharmaceutical ingredient (API) used to combat malaria. Artemisinin-based therapies are the global standard for the treatment of malaria, a disease that affects over 200 million people annually and is on the rise. The API is derived from the leaves of the herb Artemisia annua or sweet wormwood, a plant that is primarily harvested in Asia for the critical drug ingredient. With demand expected to continue to grow over the next twenty years, alternative methods of commercially producing the vital drug ingredient will be needed to ensure adequate, sustainable supply and stable prices. The Gates Foundation initiated this project to discover new technologies that could significantly reduce the cost of producing artemisinin to ensure a stable and consistent supply and lower cost for this critical global health therapy. Phyton Biotech was awarded the funding to undertake a proof-of-concept study using its proprietary Plant Cell Fermentation (PCF®) technology. Phyton’s expertise in developing difficult-to-make secondary metabolites was best exemplified when it revolutionized the manufacturing process for Paclitaxel (an important anti-cancer API) using PCF®. The company’s model is now recognized as the most sustainable and environmentally responsible approach for producing the key drug ingredient and which offers superior quality, reliability, environmental and cost advantages that other methods cannot. The Gates Foundation grant will be used to fund a 12-month pilot project in which Phyton will attempt to demonstrate that artemisinin can be manufactured directly from plant cell cultures using PCF®. The intended outcome of this project is to show that this model is feasible for the consistent, large-scale and low-cost commercial production of high-quality artemisinin. More information about this project can be found on the Gates Foundation website. Phyton Biotech is the global leader in Plant Cell Fermentation (PCF®). We offer comprehensive services for the development and commercialization of plant-based molecules, extracts and recombinant products, serving the pharmaceutical, Chinese Traditional Medicine, cosmetic, agricultural and food ingredient industries. Using its revolutionary and proprietary PCF® platform, Phyton offers a time, risk and cost-balanced path to commercially viable production processes, resulting in the sustainability, reliability, quality and scalability of the supply chain. As a biotechnology leader, Phyton has a successful track record of developing and implementing innovative contract development solutions for clients around the world. 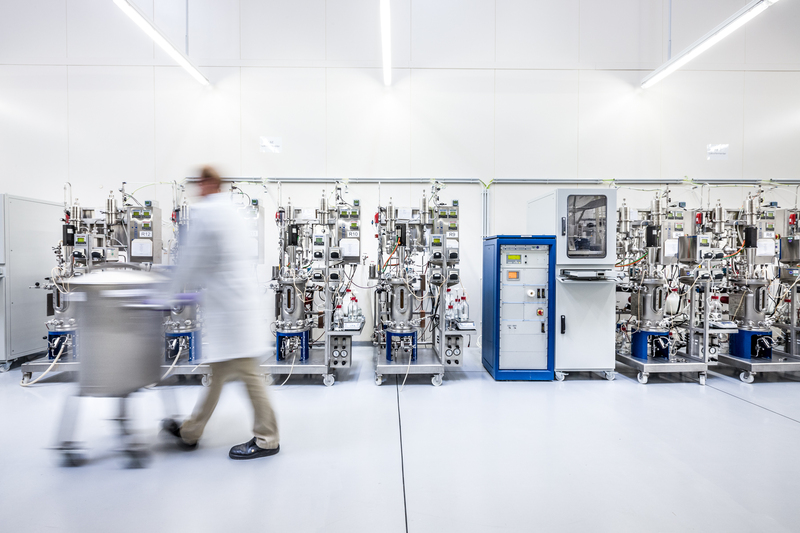 With certified GMP facilities in Germany and Canada, Phyton combines highly developed technology, significant expertise and the highest quality to meet our global customers’ needs.